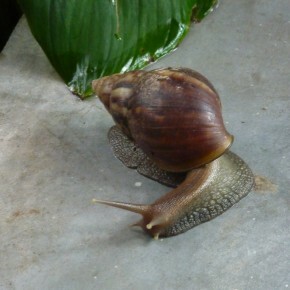 There are a number of ways that you can deal with snails and slugs that will not leave nasty chemicals laying around your garden that could be harmful to pets, children and wildlife. The most commonly mentioned method to combat these creatures is to use beer traps. Use the tops of bottles or jars and place some beer in them. You will need to empty out the dead bodies every day or so and top up with fresh beer. One of the best ways to keep snails and slugs under control is to let your chooks roam around the garden every now and then. They just love to gobble them up!